Couture Bridal Photography is the #1 choice wedding photographer for couples planning a wedding in Fort Lauderdale, Florida. Couture Bridal Photography was established in Fort Lauderdale Florida in 2008 by Alfredo Valentine. Alfredo Valentine, a life long professional photographer with a passion for telling wedding day love stories saw a need for artistic wedding photography. The majority of businesses advertising wedding photography services throughout Fort Lauderdale, do not provide the skill, desire or ambition to deliver artistic wedding photography to deserving brides and grooms. Couture Bridal Photography delivers the most authentic artistic wedding photography throughout Fort Lauderdale Florida. Alfredo Valentine is a lifelong lover of fine images and creative wedding photography. At the age of 16 Alfredo Valentine began his journey into photography with his first film camera. It would then become a life long passion of formal and informal study independently and in the classroom. 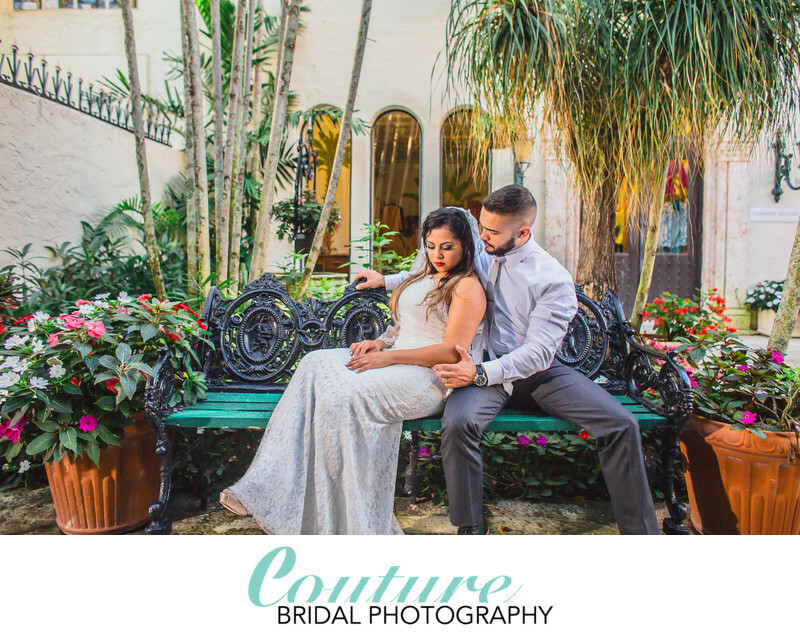 Couples planning their wedding in Fort Lauderdale call on Couture Bridal Photography for the most authentic story telling wedding photography in South Florida. Couture Bridal Photography provides a blend of wedding photojournalism, editorial, illustrative, contemporary and fashion photography to create the most spectacular story telling images couples around the world love. Alfredo Valentine, and his Couture Bridal Photography team are dedicated to delivering the most artistic wedding photography couples crave most at the most affordable wedding photography rates in Fort Lauderdale, Florida. Couture Bridal Photography is a boutique luxury wedding photography studio in Fort Lauderdale with real world pricing. Couture Bridal Photography offers the most inclusive wedding photography collections that deliver more of what couples want at a price they can afford. The reality of today, is that most young couples are planning their wedding on their own without help from parents and family. With this in mind Couture Bridal Photography created a niche luxury wedding photography market for high end artistic wedding photography at affordable prices that are fully inclusive with no fine print. Couples from around the world choose Couture Bridal Photography for their weddings in Fort Lauderdale and around the world for the most elegant, romantic and timeless wedding photography at the best prices. Keywords: Bridal Portrait (120), Palm Beach (114), WORTH AVENUE (24). 1/250; f/2.8; ISO 200; 24.0 mm.